Early on in the spring we ran the entire Gauley at around 15k. Highly recommended. 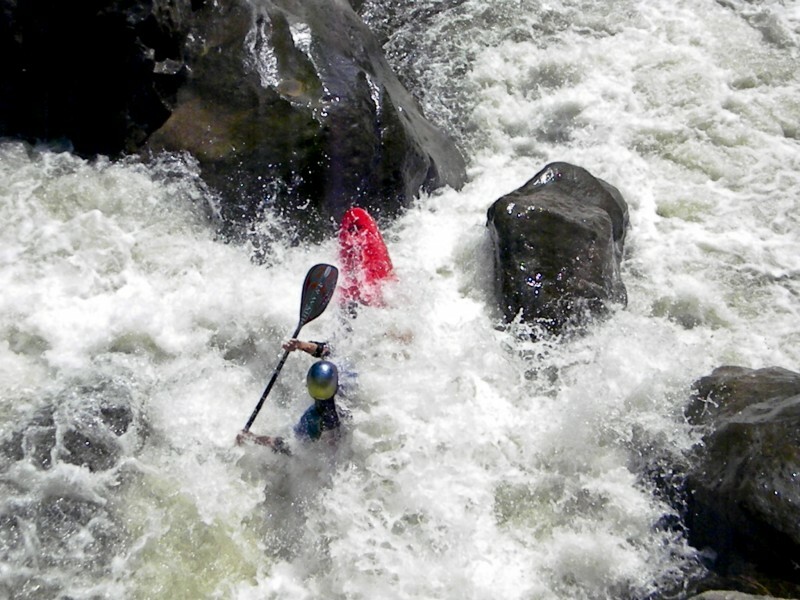 Somewhere in between high water Gauley and Mill Creek we did the first mile of Man’s Creek with a solid crew at roughly 15″-17″ and rising. I was a bit apprehensive to put on, but, as I always say, “Rule #1: Always listen to the locals.” And the locals were putting on. So I went. As a note, a normal level on mans is somewhere between the 2″-5″ range. No photos, sorry. Shane Groves Boof Stomping Mill Creek Falls near Fayetteville, WV. Jay Ditty, the one bladed wonder, Runs Eyes on Deckers Creek, Morgantown, WV. Brian Mansey with a Big boof on Carcas, Deckers Creek, WV. 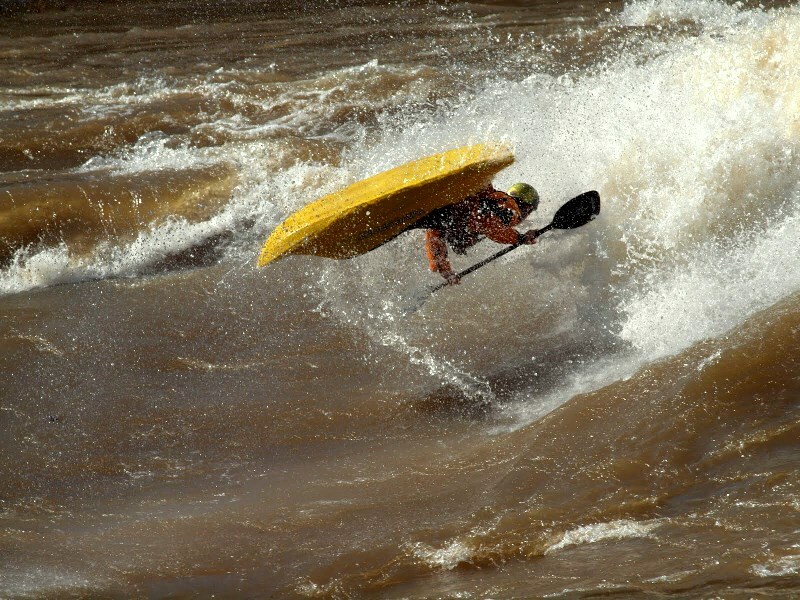 Pretty typical whitewater on Deckers: Dodge rocks that can ring your bell. Love it! Adam Johnson out from behind the camera, about to freewheel Double Indemnity, North Fork of the Biznass, WV. Curtis runs Rainbow Room with Double Indemnity in the Background. NF Blackwater near Thomas, WV. Classic WV Read and Run. Curtis Heishman putting in on the Upper Blackwater. I was lucky enough to do some kayaking in Cali with these folks... all of these folks. We were all headed creeking. This is the South Branch of the Middle Feather. Excellent creek. This shot doesn’t do it justice, so check out some of Trevor Clark’s shots (thumbnail #11) or EG “the killa’s” writeup. No doubt a creek to add to the bucket list. Bryan Kirk running one of the stouts on the Loves Falls section of the Yuba near Downiville, CA. When it's dry, we go climb some of the local goods. Chris Schwer on the rock. Epic Backwards Go-rilla by one of Brian Randall's friends. He finished A-OK.
Adam Johnson going for the Cross bow on Frankenstein, Green River Narrows, NC. Sunshine. Big thanks to Brian Randall for the Photos. Epic Wind out at Lachine. Chris almost lost his paddle due to it. Zonedogg running the Putin slide on the Beaver, NY. What a warm-up! Geoff Calhoun on the Raquette, NY. A sweet traverse climbing at Seneca Rocks, WV. So that pretty much wraps up 2010. Hope you enjoyed the photos. Would love to hear some comments. As usual, check out my Picasa Web Album to see the photo content from the next post (Dries, and some classic Dub V stout creeking).